Before you iron, check the fabric label to see whether the item can be ironed and which setting to use. Cottons and linens are usually safe to iron. For synthetics, test a small area to ensure it’s safe to iron. Never iron wool, velvet, or corduroy. When ironing delicates or embellished items with beading, sequins, or embroidery, be sure to lay a Lint-Free Cleaning Cloth between the iron and the item for protection. Cotton and linen items that require pressing should be removed from the dryer while still damp. If the items are dry, it helps to spray the area damp before pressing. An accumulation of mineral deposits in the iron can lead to rusting and unsightly spots on bedding and clothing. To prevent this, it is best to clean your iron using Scented Vinegar once every two to four months. 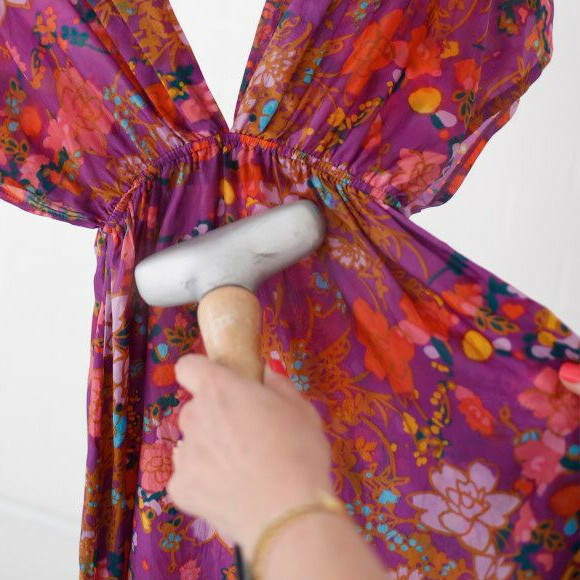 For further protection, iron items inside out or use the Lint-Free Cleaning Cloth as a pressing cloth. 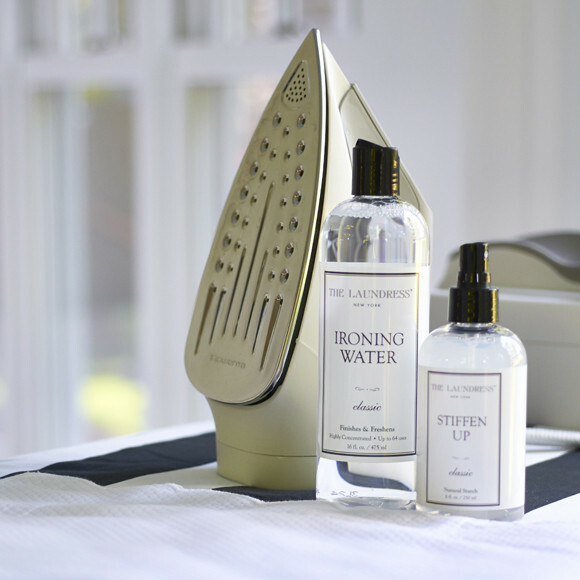 Steaming provides the safest and gentlest finish for laundry items, releasing wrinkles for a natural finish. Not only does steaming avoid any risks posed by ironing (burning and unintended creasing), but the steam kills most germs and bacteria, which helps eliminate odors. Iron/Handheld Steamer: Add 1 capful to the water tank. Steamer: Add 2 capfuls to the water tank. We’ve never seen anything that compares to this stylish and unique Ironing Board Cover sporting a chic, black-and-white-striped pattern. Elastic edges allow for a secure fit, both for American and European-sized ironing boards. The scorch-resistant material and double-lined fiber pad ensure safety and durability. We love the hanging pocket, ideal for keeping your ironing tools, Stiffen Up, and Ironing Water within reach. Poly/cotton blend with scorch resistance. Ideal for boards that are 49”–54” long, 14”–18” wide. Made in China.